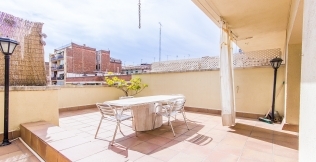 Apartments in Barcelona have lots of natural light and some of them come with a balcony. 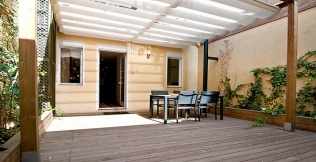 However, you might like to have yet more space in the open air. 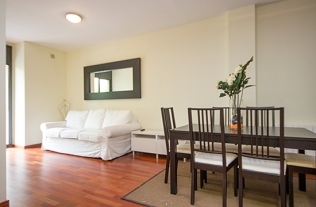 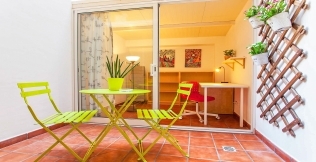 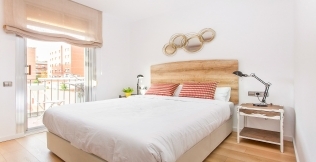 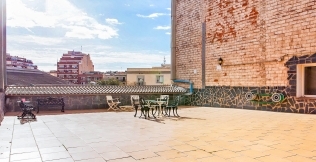 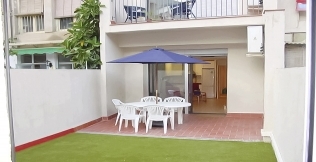 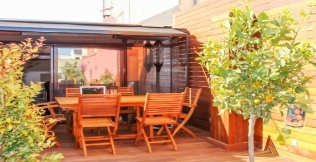 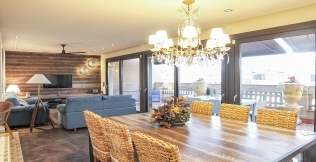 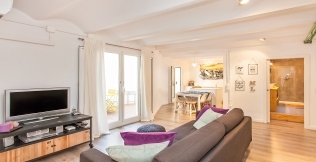 We offer a wide range of apartments in Barcelona with a terrace. 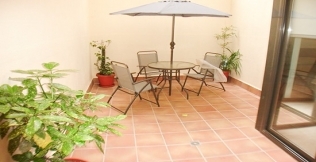 They are also provided with outdoor furniture such as deckchairs and tables. 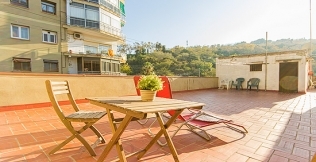 You can enjoy great views of Barcelona from your terrace while relaxing on a deckchair. 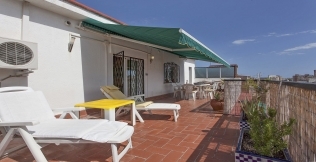 Also, if you like the sun and want to get tanned, you can have a sunbathe without leaving home. 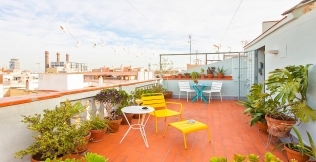 Moreover, you might like to spend some nights enjoying the mild temperatures of Barcelona on the terrace of your apartment and seize the chance to have dinner with your family and friends outdoors, have a chat with them, and even play cards and board games. 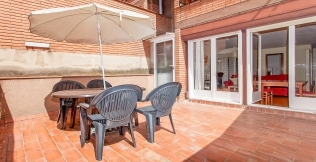 Having a terrace in your apartment has lots of advantages, especially if you travel with children and pets. 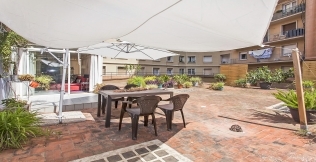 It is the ideal space for children and pets to run and play and not get bored confined within the four walls of your apartment when you're not out touring the city. 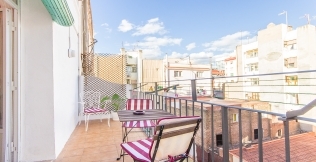 What is more, thanks to the great locations of our Barcelona apartments, you can see the wonderful sights of the city from your terrace. 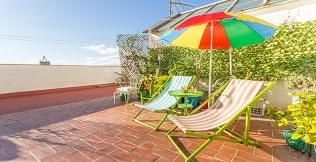 Depending on your location in the city, you will have the chance to see the Sagrada Familia, the impressive modernist buildings of Passeig de Gràcia, the magnificent Plaza Espanya and Montjuic, or the marvelous beaches of Barcelona from your apartment and take fantastic photos of the Barcelona skyline.